We manufacture, export and supply a stylish collection of Plain Ties made from superior quality fabric. These Plain Ties are perfect for any occasion; be it formal or casual. Our Plain Ties are available in diverse alluring colors in order to offer a wide choice to the clients. Finely stitched, our Plain Ties completes the formal suits and offer a distinguished persona to the wearer. 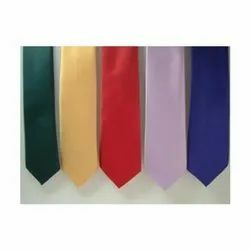 Furthermore, we offer bulk quantities of these Plain Ties at very affordable rates. With us, clients can stay assured for the premium quality of the offerings as we keep them in healthy conditions. For this, we have developed a large storage unit. Only high-quality raw materials have been used for the production of our entire range. We check the raw materials against varied quality parameters before procurement. The Branded Ties are available in variegated patterns and sizes and are fabricated keeping the latest fashion trends in mind. The Branded ties are made from fine fabric, sourced from the best vendors of the industry. 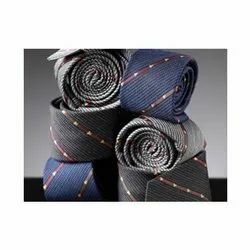 These Branded ties adorn the wearer and can be availed at cost effective prices. Looking for Plain & Solid Colour Ties ?